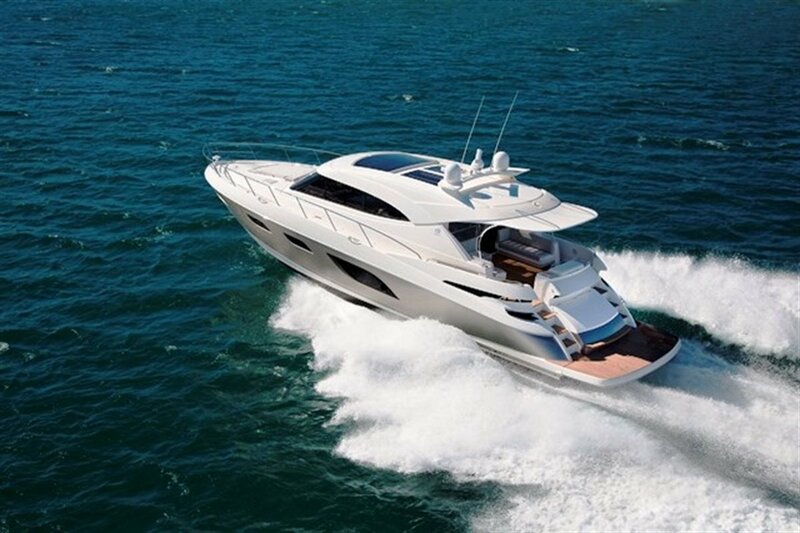 Riviera's stylish and sophisticated 6000 Sport Yacht is the ultimate on-water entertainer. 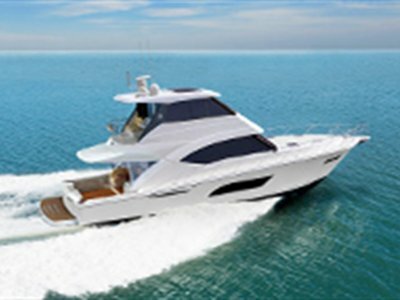 This sleek design is widely acclaimed as a high-performance yacht akin to a six-star luxury resort and her design flexibility is further evidence of Riviera's commitment to catering to an extremely wide range of boating pursuits. Supremely comfortable, the 6000 Sport Yacht features an innovative alfresco lifestyle design, ultramodern technology and palatial appointments. Her level of attention to detail from bow to stern confirms that she is indeed a world-class Riviera. 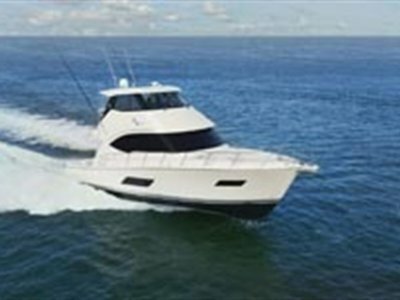 Of course the awe-inspiring aesthetic appeal of the 6000 Sport Yacht, with her sleek lines and contemporary hull windows and portholes, is just the beginning. Our talented team of designers, engineers and master craftsmen have really captured an enriched sense of light, space and liveability from bow to stern. 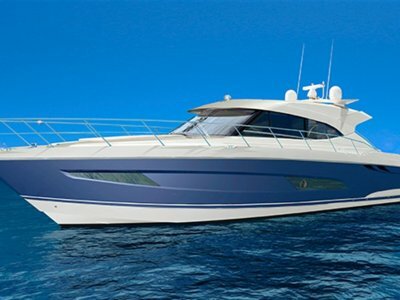 Large fixed skylights and two electric sliding sunroofs are built into the curvaceous fibreglass hardtop, enhancing natural light and ventilation throughout the entirety of the 6000 Sport Yacht - from the expansive cockpit to the luxuriously furnished saloon and through to the generous-sized staterooms on the accommodation deck. Befitting a motor yacht of this calibre, all on-board appliances, entertainment and operational systems, fittings and furnishings are premium quality and are a perfect fit with the state-of-the-art technology which helps us set new benchmarks in terms of convenience, reliability and ease of operation. This, of course, helps us remain true to the Riviera ethos of sourcing the best and most reliable equipment and fittings from the world's most-respected suppliers to help our valued owners achieve 'the ultimate boating experience'.